Superdry men's Low Pro sneakers. 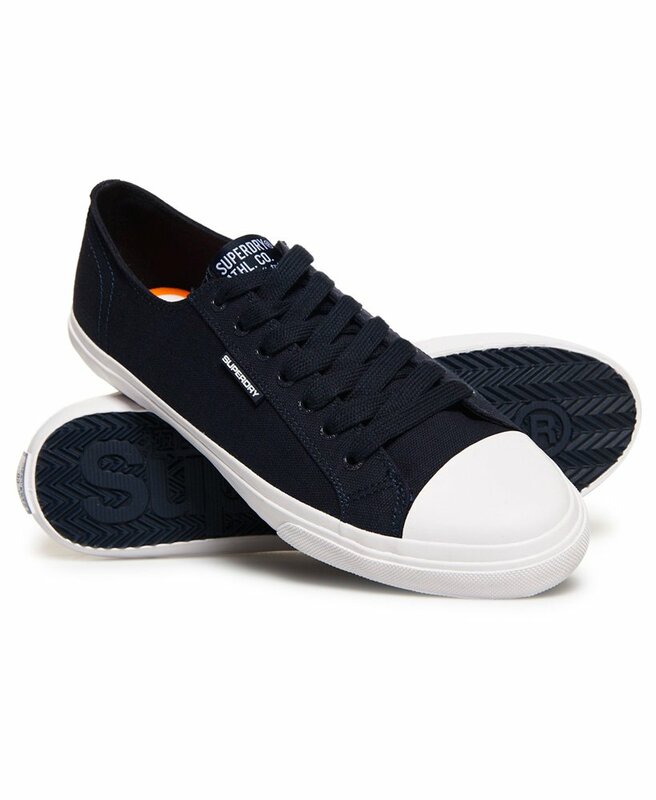 These low top canvas trainers feature lace fastenings, Superdry branded inner sole and a Superdry Athletics logo patch on the tongue. The Low Pro shoes are finished with a Superdry logo patch on the heels and a subtle logo tab on the side of the shoe.